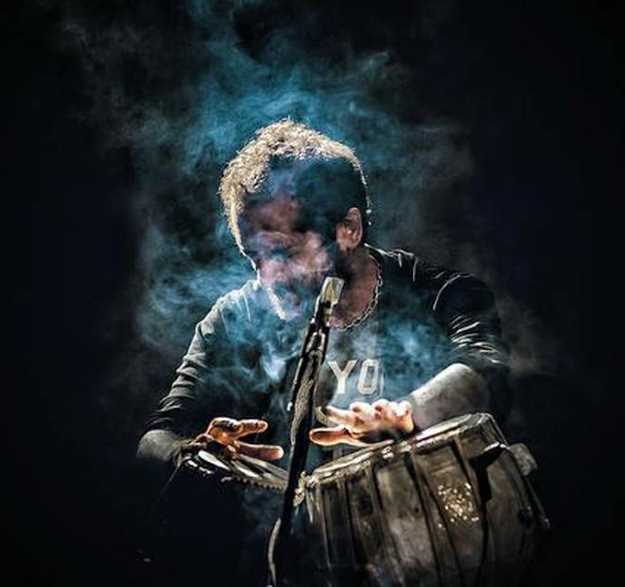 CAMBRIDGE, MA—Indian-American drummer, tabla player and DJ/Producer Karsh Kale will perform live on Thursday, March 1, 2018, at OBERON in Cambridge, MA. He will be joined by fellow musicians Max ZT and Jay Gandhi. Doors open at 7:30 pm for 8:00 pm show at OBERON, located 2 Arrow Street, Cambridge , MA 02138. Kale has developed a reputation as a genre bending collaborator which has led him to work with some of the most renowned artists from around the globe including his musical hero Zakir Hussain, Ravi Shankar, Herbie Hancock, Sting, Anoushka Shankar, Lenny Kravitz, Bill Laswell, Norah Jones, Alicia Keys, Sound Tribe Sector 9, Chebi Sabbah, DJ Logic, Bernie Worrell, Midival Punditz, and many others. For his Boston area return to OBERON on Thursday, March 1 2018, Kale will perform live on tabla and also DJ. He will be accompanied by New York City based musicians Max ZT on santoor (dulcimer) and Jay Gandhi on Indian bansuri (flute). Max ZT also leads the band House of Waters and signed to Snarky Puppy’s Ground Up record label (House of Waters also play for Celebrity Series Boston Stave Session on March 21). Max is a longtime student of Indian classical music and santoor pioneer, Pandit Shivkumar Sharma. Gandhi’s Indian bansuri playing has long been a fixture of the Brooklyn Raga Massive collective in NY and beyond. Gandhi is a teacher, performer and a senior student of legendary Indian classical flute maestro, Pandit Hariprasad Chaurasia. Boston local DJ and recent Chicago transplant DJ Warp will open the event and support.